There has never been a better time to be in the market for a smart TV. After Vu, it was the turn of Chinese company Xiaomi to launch affordable smart TVs in the Indian market. Now, thanks to Delhi firm Super Plastronics Pvt Ltd (SPPL) and its chief executive officer Avneet Singh Marwah, it is the turn of a French company to re-launch in India. 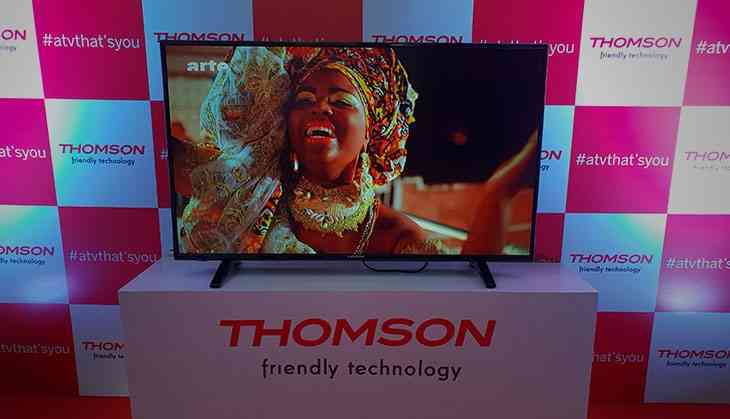 On Thursday, 12 May, the 120-year-old Thomson re-entered India and brought with it a trio of 'affordable' smart TVs, redefining the category. Super Plastronics and chief executive officer Avneet Singh Marwah are a household name in India today. Before Thomson, Marwah and his team had convinced photographic film brand Kodak to sell TVs in India. Thomson, owned by France's Technicolour, has come out with three TVs - 32, 40 and 43-inch sizes - with their USP being the price. The 32-inch and 40-inch models with Samsung panels are priced at Rs 13,490 and Rs 19,990 respectively. The 43-inch flagship UHD 4K TV will retail for Rs 27,999. All three TVs will be exclusively available through sale on Flipkart. Thomson had dominated the CRT television market globally in the 1980s is looking to replicate the success with its range of smart TVs. Marwah confirmed to Catch News that the company is working on different SKUs and will bring them to the market as and when they are ready. At the moment, there is no timeline for any future products in this category. Marwah also confirmed that the company will not be selling these TVs in the offline markets. At the event, Marwah made a special emphasis on the pricing saying that the company has redefined the segment for Indian consumers. The problem for Thomson is that - quality apart - they have to compete with Xiaomi's Mi TV 4 and Mi TV 4A, who have had a couple months headstart, and from Indian company Vu. Xiaomi's 55-inch Mi TV 4 retails for Rs 39,999 with cheaper 32-inch and 43-inch options. Vu offers TVs starting from 24-inch and priced as low as Rs 10,000 approximately. For Thomson though, the journey hasn't been easy. It has been over two years of discussions, talks and more before sealing the deal. All the TVs will be manufactured in India (SPPL has three manufacturing plants in Pune, Noida and Jammu) and that will help keep the prices at an extremely competitive level. Thomson had tried re-entering as far back as 2015. The company reached an agreement with Hyderabad-based electronics manufacturing firm Resolute Electronics Pvt Ltd and the plan was to sell on Flipkart. Eventually, though, the venture fell through and the launch was cancelled. 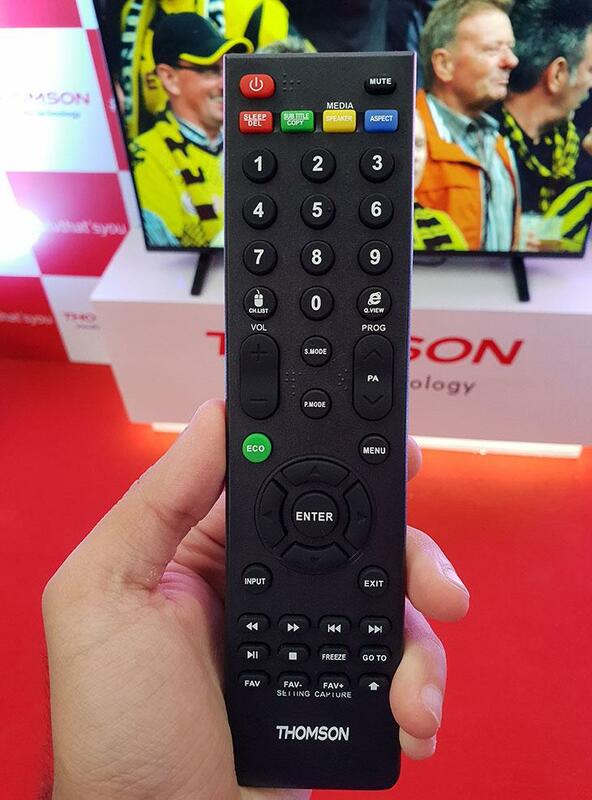 With the television market pegged at Rs 22,000 crore, Thomson is hoping to capture a large part of the pie. “We are delighted to partner up with a leading and historic global brand like Thomson. It is SPPL’s endeavor and commitment to promote ‘Make in India’, generate employment and contribute to the Indian economy," says Marwah. "With the launch we aim to capture 6% - 7% of total TV market share and make Thomson, No. 1 Online smart TV brand in India." The one area apart from pricing, where Thomson has an advantage over Xiaomi's Mi TV is its software. 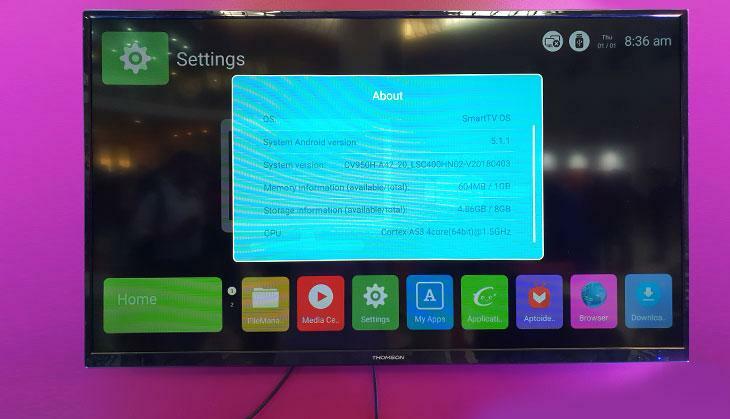 Xiaomi's TVs are based on its in-house developed PatchWall. PatchWall lacks a couple of the most used streaming services - Netflix and Amazon Prime - and that puts it on the backfoot immediately. Thomson's range of smart TVs are all based on Android and hence have access to an ever-growing list of apps. Both TVs are bare-bones minimum. That is expected with the price. At such a low starting price, it's worth mentioning that super-sized monitors can also be bought. Unless you truly need DTH, there can be a solid argument for owning a monitor over a television. For Thomson, the main sell will be whether or not it can differentiate itself from Kodad. Both are licensed by SPPL and both look - externally and the software - and fell pretty similar. For now, Thomson can claim the title of the cheapest smart TV with UHD 4K in the market right now with a price of just Rs 27,999. Will price alone be enough of a sell? Only time will tell.